Building and Pest Inspection in Sunshine Coast South - Caloundra, Maroochydore, Buderim, Mooloolaba and surrounds. 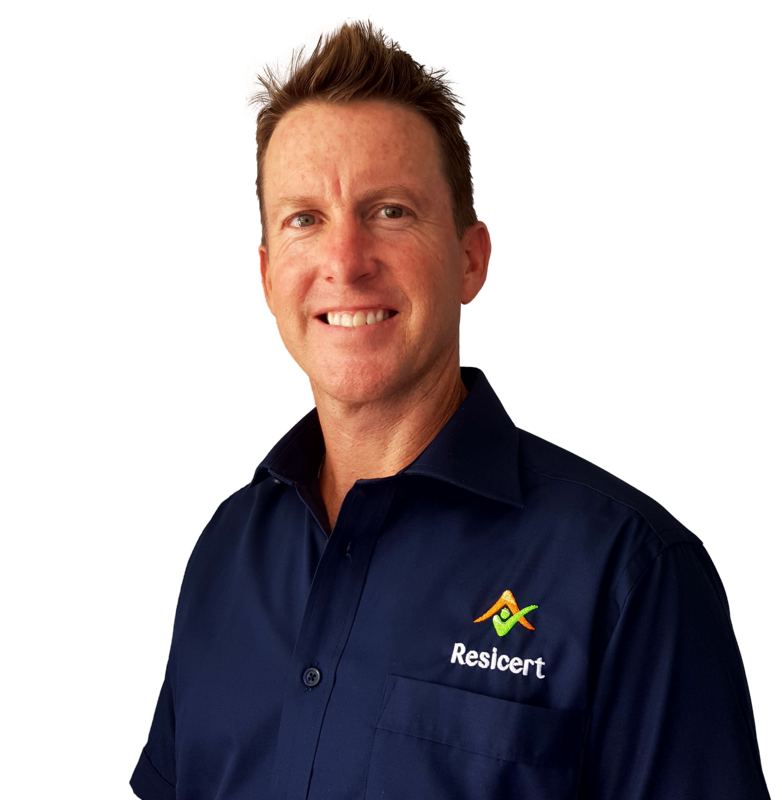 Save $97 on Your Building and Pest Inspection today with Lance at Resicert! Lance has worked for one of Australia’s largest pest control companies for over 20 years, carrying out all aspects of building pest control including commercial, domestic and timber pest inspections and treatments. Now a fully qualified building inspector, he brings to Resicert experience and knowledge that will help you understand your property better. Forget gimmicks, Lance uses extended knowledge of pest systems and building structure so that you get the best and most accurate advice, fast. Backed by Resicert’s 100% money back guarantee, Lance’s pride in his work and love of property ensures an inspection that his clients regularly say is not only value for the investment, but delivered in a professional, competent way. A Resicert career means enjoying everything else life offers. Lance enjoys all things outdoors and the coastal lifestyle the Sunshine Coast offers. When surf’s up and your inspection is finished, you will find him on the coast or spending time with his young family riding bikes or seeing a movie. I love the work / life balance that Resicert offers. No day is ever the same. Each day I am presented with new challenges and situations, clients and buildings and it is this kind of environment which allows me to stay focused and interested. Resicert also promotes the kind of culture that inspires people to do their best.